If the worksheet that contains reference has not yet been saved, an empty string is returned. format returns a code that corresponds to the number format of the cell.... This reference is for Processing 3.0+. If you have a previous version, use the reference included with your software in the Help menu. If you see any errors or have suggestions, If you have a previous version, use the reference included with your software in the Help menu. The string type represents a sequence of zero or more Unicode characters. 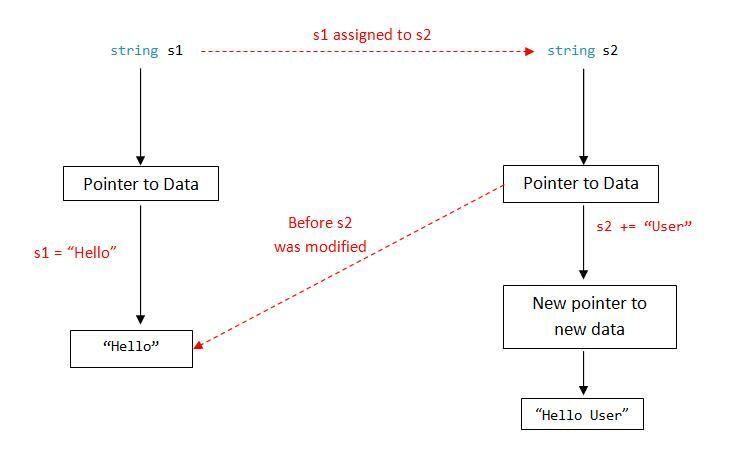 string is an alias for String in .NET. Although string is a reference type, the equality operators (== and !=) are defined to compare the values of string objects, not references. This makes testing for string equality more... This reference is for Processing 3.0+. If you have a previous version, use the reference included with your software in the Help menu. If you see any errors or have suggestions, If you have a previous version, use the reference included with your software in the Help menu. Locates a character or String within another String. By default, searches from the beginning of the String, but can also start from a given index, allowing for the locating of all instances of the character or String.... Compares two strings for equality. The comparison is case-sensitive, meaning the String "hello" is not equal to the String "HELLO". The comparison is case-sensitive, meaning the String "hello" is not equal to the String "HELLO". I should have not assumed. The uri.toString() context is in a private class that extends an AsyncTask and the uri is created outside of that class in its parent (calling) class. Is it because of these class boundaries the issue arises? Or is it because I'm using an external resource (JSoup)? Here is …... This reference is for Processing 3.0+. If you have a previous version, use the reference included with your software in the Help menu. If you see any errors or have suggestions, If you have a previous version, use the reference included with your software in the Help menu. The problem of deciding how to return a non-trivial object from some sort of a container is actually non-trivial: If the class from which you return your value imposes any sort of constraint on the object, you can't return a non-const reference because it would loose the possibility to enforce its invariants. If you want to return a member of your this object by reference from an inspector method, you should return it using reference-to-const (const X& inspect() const) or by value (X inspect() const).